April is National Minority Health Month! 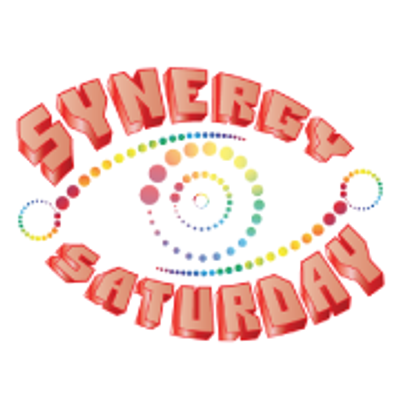 As a result, Synergy Saturday is excited to host its inaugural Advocates in Action Minority Health Event where participants can receive no-cost (FREE) health screenings, education of their screening results, and next-step action plans from collaborative health organizations and professionals each Saturday in April. 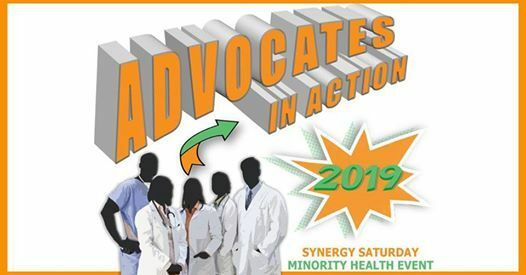 Advocates in Action brings health organizations, health professionals and healthcare systems collaboratively together to provide real-time action plans and a personalized preventative care for each participant in efforts to prohibit health disparities, promote good health practices, and prevent disease among minority communities. 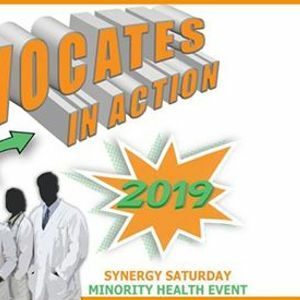 Our Advocates in Action event hopes to create much-needed education, engagement, and excitement among minorities to alleviate negative perceptions derived from health scare tactics, White-Coat syndrome, and distrust in order to combat healthcare disparities and poor health, which are all too prevalent.